Folic acid 400mg,iron 21mg, calcium 260mg, and others included. The preservative,antioxidant, and others are not included. This vitamin is very important nutrition which is said [ Vitamins to prepare the blood ] . 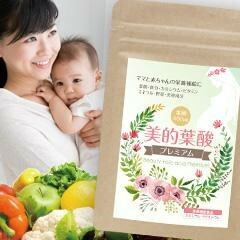 It keeps the health condition such as pregnant woman, people worried about skin trouble, PMS, nourishment balance.